In this article we discuss what MACRA is, how it affects doctors and hospitals, and how it affects Medicare beneficiaries. If you are a Medicare beneficiary, the new law may seem daunting. But it's important that you know what changes are coming that could affect you. It's also important to note how your providers are being paid, since this could affect you as well. MACRA is a law that was passed in 2015, and it's full name is the Medicare Access and CHIP Re-authorization Act of 2015. You'll get a new Medicare card in 2018. If you are in the hospital over night on an outpatient basis you'll get a notification. MACRA phases out Zero Deductible Medicare Supplement Insurance Plans (Medigap). Payments to hospitals are changing. Medicare will rate your Doctor. They'll also pay your doctor differently than they did prior to MACRA. MACRA removes your Social Security number (SSN) from your Medicare card! This means you won't have to mark up a copy of your card in the future. You'll get a free replacement Medicare card. The old cards had your Social Security number (or your spouses) and were an easy way for a thief to steal your identity. Now you (hopefully) won't worry as much about ID theft. However, it's not perfect, because the new rules may cause some issues with your insurance provider and/or your physician's office. From April 2018, through December 2019, (the transition period), Medicare will be mailing out new cards to existing members. These new cards will have Medicare Beneficiary Identifier numbers (MBIs). Medicare will randomly generate 11 characters, including numbers and letters to get your MBI. During the transition period your physician's office and insurance carrier can decide which number they want to use. They can use either your former Medicare ID or the new MBI. This is because the Insurance Company has to change their applications, billing systems, and claims systems. They have to make room for the additional digit. (Currently most Medicare Numbers are ten digits, your SSN and one letter, although some have two letters). 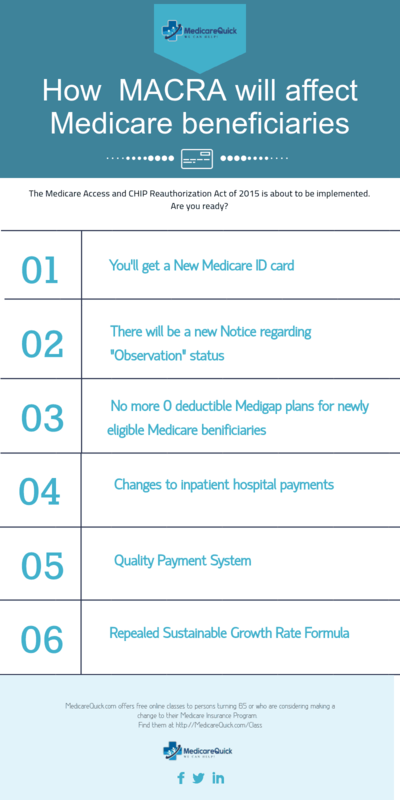 After January 1st 2020, you won't be able to use the old Medicare Card. 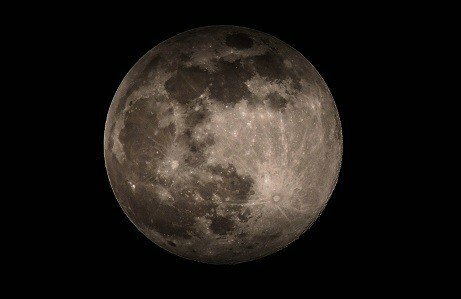 When MACRA takes effect, your hospital will have to give you the MOON. No I'm not talking about giving you everything you've ever wanted, I'm talking about the “Medicare Outpatient Observation Notice“. Let's say you get hurt and you wind up in the hospital. You stay there for 3 days, but unfortunately you were an outpatient. Your doctor was “observing” you. Later the hospital releases you to a Skilled Nursing Facility (SNF), because you still aren't able to safely return to your own home. You stay in the SNF for 10 days and then you go home. In this situation you will be subject to the Part B deductible and the 20% copay for your hospital stay. That 20% copay can quickly add up in a hospital. This is because you are paying room, board, and literally anything that comes up that you need. (Have you ever heard of the $25 aspirin?). To make matters worse, in this situation, Medicare won't pay ANY of your SNF bill. This is because you must be in the hospital as an inpatient (outpatient doesn't count) for 3 days in order for Medicare to cover the cost. So yes, your doctor will give you the MOON when your doctor observes you in the hospital for 24 hours or more. You'll be asked to sign off on it, but even if you refuse, it doesn't matter. The individual who gives you notice just signs it himself, along with a witness. The witness just states that they informed you. Pay attention to this notice, even though you may or may not sign it. It may mean that you are on the hook for a lot of money. Protect yourself by making sure that you have the proper coverage. Original Medicare with no other layers of protection could be quite costly in this situation. Medigap plans will most likely cover you for the Part B copay of the hospital stay. 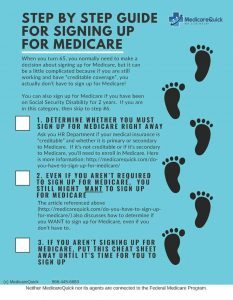 However, if you wind up going to a SNF afterwards, neither original Medicare nor your Medigap will cover any of the cost. Medicare Advantage plans might cover it but you'll need to check how the plan covers your hospital stay. The Skilled Nursing Facility is the issue. In this situation, if you had original Medicare with Medigap, you would have to pay for all costs at the SNF. If Medicare doesn't pay, neither does the Medigap. And Medicare doesn't pay for a SNF unless you were an inpatient for at least three days. If you had a Medicare Advantage Plan, it might pay, depending on the terms of your plan. 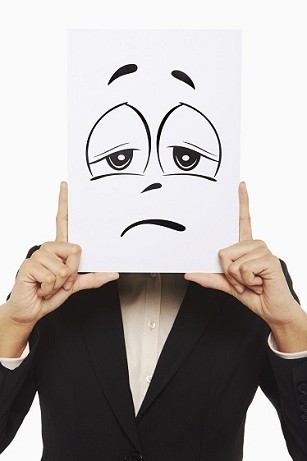 What can you do about Observation status? You can ask your doctor to change your status to inpatient, but even if he does, the hospital might not comply. If you are concerned about how an outpatient stay might adversely affect your ability to get payment for a Skilled Nursing Facility stay that might come after, the Center for Medicare Advocacy has a lot of information. MACRA also affects IRMAA, or the Income-Related Monthly Adjustment Amount. When your Modified Adjusted Gross Income is over a certain thresh-hold, you pay more for Parts B and D.
In 2020, the income threshold limit will change. We don't know what the new thresholds will look like, but my guess is that it will decrease. In other words, more people will pay more money for their Part B and Part D premiums. 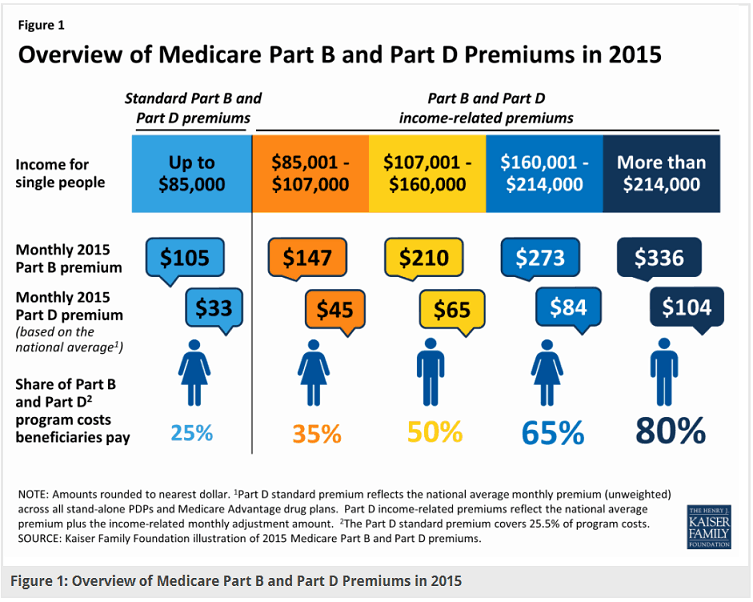 By design, Medicare beneficiaries pay a percentage of their costs based on their income levels. Note that the higher the income, the higher percentage of costs you pay. MACRA adds another category to the chart. It will interject into the 3rd category, or the yellow portion on the chart. MACRA splits this yellow category into two categories. The affect of this will be that more people will pay higher premium amounts. Those people in the (currently) 4th category move to the 5th category. They'll then pay 80% of the costs. What that means is that more people will be paying the highest level of IRMAA. This is currently $428.60 per month for Part B, and an added $76.20 for the drug plan. For more information on this you can read Kaiser Family Foundation's article. Keep in mind that the numbers in that article are from 2015, and that Part B and Part D premiums have gone up since then. MACRA requires that new beneficiaries starting in 2020 no longer be offered Medigap plans with a zero deductible. This will affect Medigap Plan C, F and high deductible Plan F.
The reasoning behind this is that if somebody doesn't actually have some kind of financial cost involved then they will over-utilize care. In other words, a hypochondriac might love a plan without a deductible! The hypochondriac might go to the doctor for every little hangnail that occurs. It doesn't matter the cost, because the isn't one. That's what they are trying to prevent with this new rule. In 2017, the Medicare Part B deductible is $183. Right now in 2017, you can purchase a plan that covers this deductible, the Part A deductible, and all of your copays. Currently Plan F, and in a small way High Deductible F, covers everything. In a High Deductible Plan F, the total deductible includes the Part B deductible. Under MACRA, anyone who's new to the Medicare program on January 1st 2020 and later cannot purchase F, C or the high deductible Plan F. But anyone who's in the Original Medicare program (either Part A, Part B or both), by December 31st 2019, will always be able to purchase F, C or high deductible Plan F. That is if the person is medically fit according to the insurance company. There is a lot of confusion around this. If you're enrolled in Medicare prior to 2020, you can always purchase Plan C, Plan F, or High Deductible Plan F, (if you can pass medical underwriting), even after new beneficiaries are no longer eligible to purchase these plans. Here is how it works: I could be in a Medicare Advantage Plan right now today, and in 2023, I still can purchase a Plan F. (As long as I'm medically qualified). I could enroll in Part A by December 31st 2019, and delay Part B. I then enroll in Part B in 2022, and then I could still purchase the F, C or high deductible Plan F. And in this situation I have guaranteed issue (they can't ask Medical Questions) for six months after my Part B effective date, so I don't have to worry about Medical underwriting. The new rules regarding this will only affect people that are new to Medicare on January 1st 2020 or later. 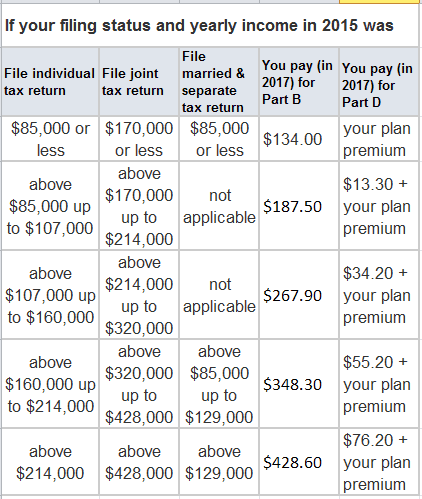 Those new beneficiaries will not have access to Plan F, Plan C, or High Deductible Plan F.
If you are not enrolled in Original Medicare by 2020, you won't have access to Plan F, Plan C, or High Deductible Plan F.
It doesn't matter if you are in a Plan F now or C or a high deductible Plan F. As long as you enrolled in Part A, Part B or both by 2019, you will always have access to those plans as long as you are medically qualified. Plans C, F, and High Deductible F will still be available to you. For people who will not be eligible for C, F and High Deductible F, the highest benefit plan will be Plan G. The only difference between Plan F and Plan G is the Part B deductible. And the price. Of course the price is different as well. In 2018, certain inpatient facilities will be limited in their year over year increases. For example, skilled nursing, home healthcare agencies, and so forth will have a 1% increase limit, regardless of how high their medical costs rise. “The physician response to the incentives inherent in the new payment system may have both direct and indirect effects on hospitals and health systems. Those that employ physicians likely will bear the implementation and ongoing compliance costs associated with the new physician performance reporting requirements as well as any payment adjustments due to poor performance under the MIPS. In addition, as a greater percentage of physician payments become at risk, an increasing number of physicians may seek stability through hospital employment or contractual relationships. This means you'll see less independent physicians in the future and more that participate in a group. MACRA repeals The Sustainable Growth Rate Formula for doctor's pay. The repeal also introduces a “merit-based incentive payment system” (MIPS). Starting in 2019, the MIPS will fold a number of current incentive systems into a single, modified approach to rewarding physician groups that excel according to its criteria for providing high-value care. These bonuses and penalties are cost-neutral; money flows from underperformers to outperformers . 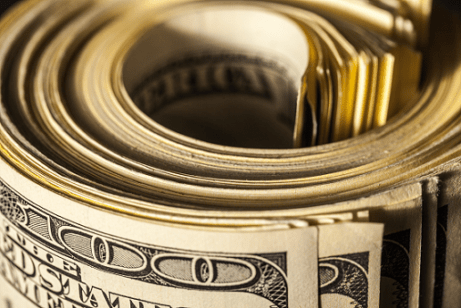 The goal of these new incentive payments is, of course, to induce physician groups to provide higher-quality care without increasing resource usage. The measures upon which groups will be scored include the “meaningful use” electronic health record (EHR) program, the Physician Quality Reporting System (PQRS), and the Value-Based Payment Modifier (VBPM) program. The scoring will also incorporate an evaluation of clinical practice improvement activities . As of September 2015, the secretary of the Department of Health and Human Services (HHS) had yet to announce more detailed implementation guidance and assessment criteria. But the size of bonus payments and penalties derived from MIPS scores is written into the law: they will grow to range from +27 percent to -9 percent in 2022. Your doctor will strive to improve all of these areas to get her bonus. But if she doesn't meet certain goals MACRA penalizes her. MIPS affects the majority of doctors that want to continue to participate in Original Medicare. MIPS does not apply to Medicare Advantage Plans. If the provider participates and meets the government's benchmark limits, then in 2019 they are eligible for a 4% bonus, a 4 % penalty, or they break even. Their bonus penalty increases to 9% in 2022 and later. The doctor gets to chose up to 6 measurements out of 271 that best suit the practice. So it's up to the provider to determine which measurements apply to his or her practice. It's an important first step. When you think about it, this makes sense that they don't judge everybody the same way. 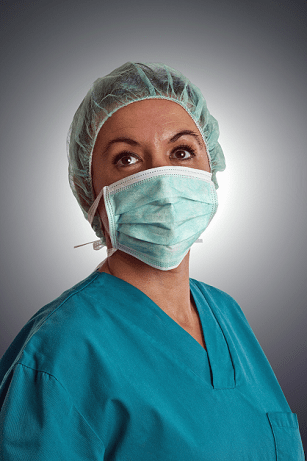 You wouldn't judge a surgeon by the same standards as a primary care physician. If the doctor selects the wrong six measurements that fit their practice, she could wind up with penalties. In other words, if doctors choose the wrong measurements they are putting themselves at financial risk. If you are a provider that receives payments of $90,000, and you see 200 Medicare beneficiaries, the quality payment program applies to you. The quality payment program doesn't apply to providers under these thresholds. This year, 2017, is a performance year. Next March, the doctors have to submit what they collected. The government is also sending out surveys to the Medicare consumers after each of their services. The surveys will affect the doctor's performance bonus or penalty. 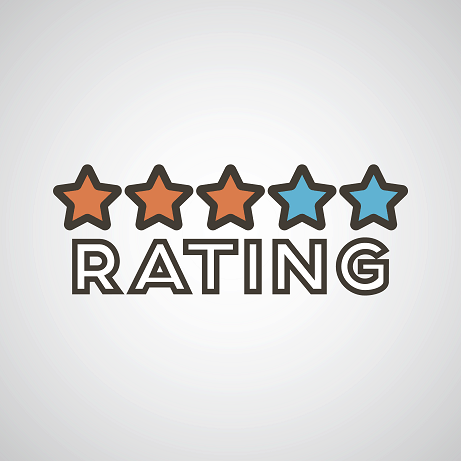 MACRA implements Star Ratings for Doctors. If you're familiar with star ratings on MA or PDP Plans, it's almost the same concept. The star ratings help determine if the doctor gets a bonus, a financial penalty, or neither. There is currently a service available called “Physician Compare” on the Medicare.gov website, but my physician is not currently listed as of this writing, (and I know she takes Medicare patients because I've referred several to her). I was able to pull up a neurology practice that is near me, and I did find a way to compare doctors, however, not all doctors have “performance scores” (star ratings) populated yet. Interesting to note is that I was able to pull up my own doctor on the California compare site, but not the national one. This information is from 2014. Most of this information has not been reviewed by each doctor. Doctors were given the opportunity to review their CHPI data for inaccuracies, but few doctors took advantage of this opportunity. As CHPI is a new program, many doctors may not have learned about CHPI in time to review their data. The results reflect information from insurance claims. However, the insurance claims themselves may not accurately reflect what actually occurred. Insurance claims are not always complete or accurate, with a significant reason being the complex process of coding a doctor visit or test so that it is accurately captured in the doctor record. Most research suggests that claims data is appropriate for the limited set of measures CHPI is reporting. And, just like Medicare Advantage Plans, the doctor will receive higher income for higher star ratings. If the provider works with high risk patients, he or she could instead participate in a different payment model, called the Alternative Payment Model, or APM. These practices typically work with conditions such as End Stage Renal Disease, cancer, and other diseases. 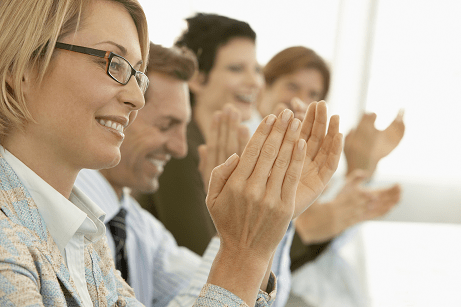 Because Advanced APMs are few and far between, most practices will be part of the MIPS program. These payment models are for practices specializing in the very sick. These practices usually operate with the latest and greatest technology, including Electronic Health Records. They have a multi-payer system that includes Medicare and Medicaid (Medi-Cal in California). Let's use an example: End Stage Renal Disease (ESRD). Due to MACRA, there are two types of AAPMs that work with ESRD, Large and non-large (Non-LDO). The difference between the large and the Non-LDO is how many dialysis facilities they have in the nation. If they have over 200 throughout the nation, they they are “Large”. If they have under 200 they are Non-LDO. In other words, people who are further advanced in their disease normally use the large AAPMs. Both types of groups get to share in any cost savings that they provide, but the Large AAPMs are financially responsible if they spend more than their budgeted allowance. In other words if they are allowed to spend $250K for the quarter, and instead they spend $300K, they will have to pay the extra 50K out of their own resources. The Non-LDOs share in the savings but without the financial risk. They're designed for early onsets of kidney disease, whereas the Large AAPMs are more suited for the end stages. MACRA also addresses Electronic Health Records, which is actually one of the most pressing issues for small physician practices right now. MACRA requires that they move to Electronic Health Records (EHR). 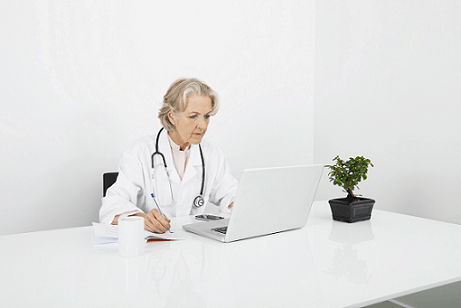 The cost to implement EHR is concerning to many small practices. Small practices are also concerned about implementation compliance. On 6/20/2017 CMS proposed changes to the 2018 program, including waiving the EHR requirement for another year. The Centers for Medicare and Medicaid Services on Tuesday delivered a 2018 MACRA proposed rule that would add more flexibility to the health IT mandates associated with the law. 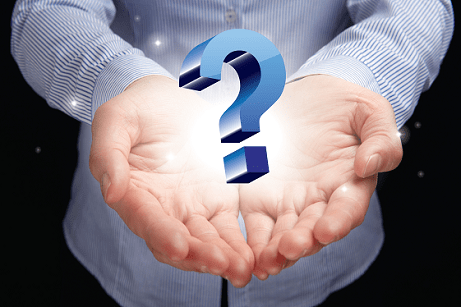 Why are Electronic Health Records so important? Electronic Health Records are important because they are more easily shared among doctors and other providers. When we think about this, it makes sense. Let's pretend that I go to a specialist today for a problem I have. The specialist prescribes a particular medication and I take it. That fixes my problem, so I continue to take the medication. Then six months later I go to a different specialist for a different problem. I forget to tell my new doctor about the medicine I'm taking that the 1st specialist prescribed. That specialist then prescribes a second medication without realizing that there might be a conflict with the first medication. Later, the medications conflict with each other and I get sicker. The idea is for doctors to use Electronic Health Records to stop that from happening. We all want our doctors using the tools and resources they need to make wise recommendations. You will receive a new (free) Medicare Card sometime between April 2018 and December 2019. There will be another form to sign if you go into a hospital. If you are a high income earner you will likely pay more. You'll still be able to purchase a zero deductible Medigap plan, if you can pass the company's medical questions (i.e. they deem you healthy enough) AND if you are on Medicare before 2020. Your hospital may be making some changes so that they can qualify for higher payments. You may receive more phone calls and other communications from your doctor as he or she will likely want to keep your health records updated. Your independent doctor may decide to move to a larger Medical Group so that she doesn't have to deal with paperwork on her own.